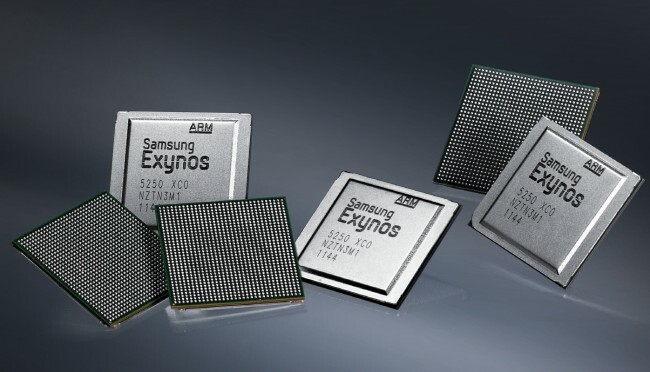 According to the Korea Times, Samsung will include one of their new quad-core Exynos processors (probably the 4412) in the follow-up to the Galaxy SII, a phone that most of us refer to as the Galaxy SIII. Not that anyone should be surprised by this since they have used variations of Exynos chips for some time now in devices, but not one of them uses a quad-core variant to date. Questions had been raised over its availability for the first half of this year, so if this unnamed “high ranking company-executive” is right, get giddy. The Exynos chips that were included with the Galaxy SII still outperform most of the competition. This new architecture should really fly though without sucking as much juice at 32nm. The GPU to our knowledge is still the same as the chipsets used in the SGS2, which is nothing to complain about. Still no date to discuss, but we do have tons of fake or semi-fake Galaxy SIII photos to talk about.